Azerbaijan is a territory of 9-out of 11 of the world's climatic zones. Climate of our country enables to organize summer and winter holidays. Very common are ecological tours to Azerbaijan, which include visits to nature reservations, trekking and climbing routes. Midday sandy beaches offer opportunities for diving, and swimming season starts in Azerbaijan in May. The “State Program on development of tourism in the Republic of Azerbaijan for 2002-2005” approved by the Decree of President Heydar Aliyev, as well as the “State Program on socio-economic development of regions” were of great importance for the tourism industry, and their implementation will create favorable conditions for building rich infrastructure and lay the foundation for our country's integration into the international tourism market. Gained in those years of social and economic experience has created new opportunities for the full development of tourism. World Heritage List of UNESCO included the Inner City of Baku “Old City” with the Shirvanshahs Palace and Maiden Tower and museum of petroglyphs “Gobustan”. On turn other unique historical and archaeological curiosities. The flow of tourists is increasing every year (according to official information in 2011 Azerbaijan was visited a record number of foreign nationals - more than 2.2 million), so in the capital and other tourist areas there is a growing number of hotels with the highest level of service. Today their number is more than 500. 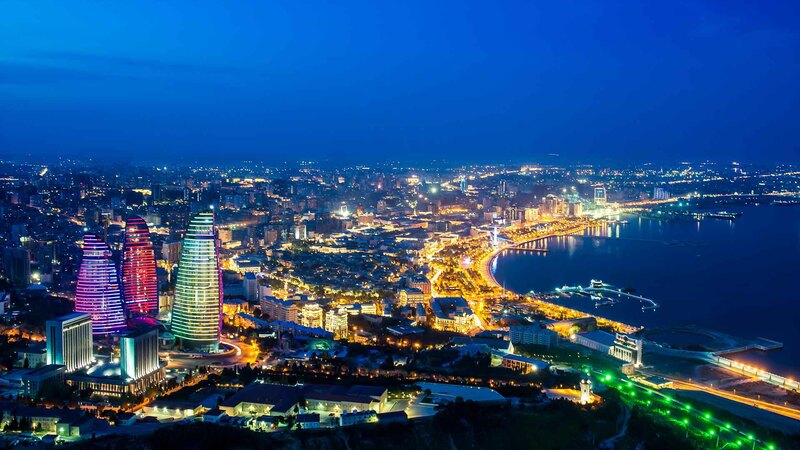 Among the most popular hotels in the capital are the chain of brand hotels such as Four Seasons Hotel Baku, Hyatt Regency, JW Marriott Absheron Baku Hotel, Jumeirah Bilgah Beach Hotel, Grand Hotel Europe, Hilton Baku, Kempinski Hotel Badamdar etc. Hotels, recreation, entertainment and sports centres operate also in the regions of Azerbaijan - a chain of hotels and amusement park Qafqaz Gabaland in Gabala, the epic winter and summer tourist complex “Shahdag” in Gusar region, more than 15 Olympic sports complex having necessary infrastructure for receiving tourists all over the country, etc.